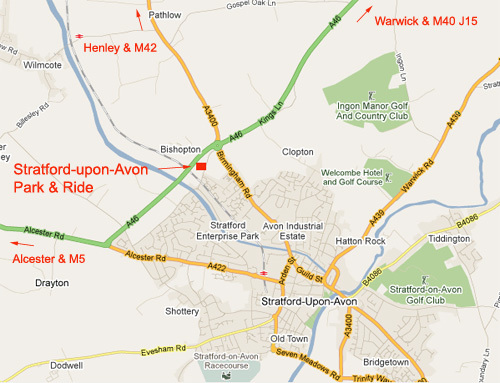 The Stratford-upon-Avon Park and Ride is located on the northern edge of the town adjacent to the junction between the A46 and A3400. The Park and Ride is a high quality service, which is convenient and easy to use  offering visitors a valuable alternative to paying parking charges in the town centre. We have a superb facility available for the public and we would urge all those who work in or visit Stratford-upon-Avon to make full use of it.